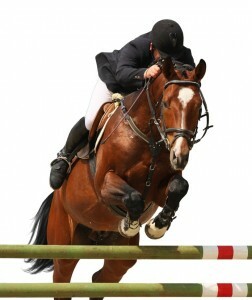 Why Organic Minerals for Horses? Copper, Manganese, Zinc, Magnesium and Iron are critical for immunity and health, normal metabolism of nutrients and reproductive function; yet despite routine addition of inorganic minerals (oxides and sulfates) horses are frequently subject to marginal deficiencies that affect health and performance. The minerals in EquiMix are organic chelated mineral proteinates; trace minerals bound to a range of amino acids and small peptides. These minerals are designed to increase absorption and retention in the body, thus they resemble the mineral bonds found in plants and grains. EquiMix minerals offer advantages in absorption and metabolism over inorganics and other types of organic minerals. Mineral interactions can complicate proper equine mineral supplementation. For example, excess iron from water sources or soils can interfere with copper, zinc and chromium supplementation in the horse. The trace minerals used in EquiMix are designed to prevent these interferences allowing optimum mineral availability to the horse. The organic trace minerals used in EquiMix are designed with a precise blend of mineral-aminoacids and mineral-peptide chelates. 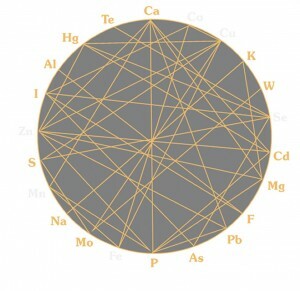 This design closely resembles the mineral bonds found in plants, a natural, more bioavailable form. In this structure, they are protected from oxidation and are more readily absorbed and retained. A variety of dietary supplements on the market are listed as organic minerals. This generic label has caused confusion as they range from single aminoacid chelates to complex mineral proteinates. Variable bioavailability is associated with organic sources because different production processes can result in differing levels of minerals as well as incomplete protection of bonds resulting in potential oxidation or mineral interferences. EquiMix contains trace minerals that have the necessary properties to ensure they pass safely through the volatile GI tract environment to absorption sites. Inorganic minerals such as iron have been found to negatively interfere and have an antagonistic effect with the absorption of other minerals. However, the organic minerals in EquiMix are protected from interactions. Therefore, optimum mineral status is achieved while reducing the level of nutrient waste. “Mineral Complexes” are not well protected in the GI tract, or against other minerals competing for absorption. Because of these losses and interference antagonisms, more mineral must be fed to ensure adequate mineral supplementation. This results in more nutrient waste and less than optimal mineral status. All minerals used in the manufacture of Triple Crown products have been selected for their quality and safety. • Vendors must be qualified under an approved vendor/supplier program and must meet stringent quality and safety standards. • All products are produced in accordance with GMP, FAMI-QS and principles of HACCP; these programs are designed to minimize the possibility that products could be contaminated with any undesirable substances, including dioxins during manufacture and storage. • All products are tested for Dioxin, PCBs, Cadmium, Arsenic, Lead and Heavy Metals. As recently as 2007, the FDA discovered melamine tainted ingredients used for animal food in the US. • With over 70% of the worlds copper sulfate sources estimated to be from renewable sources, the threat of contamination is very real. • Dioxins are catalyzed during trace mineral preparation, inorganic trace minerals are common sources. • PCB is a member of the dioxin family. It is a by-product of the production of transmission fluids, electric wire coating etc. It is also present in inorganic trace minerals due to recycling (e.g. copper wiring). PCB is a known carcinogen in humans and animals.